■Lake Tsuburo is open in late March. The lake was built in 1963, and is 150hectares wide, 32kilometers round and 45meters deep. It is an ideal place to enjoy sightseeing by boat, hiking, fishing for wakasagi (pond smelt), koi (carp), herabuna (a kind of crucian), and black bass, and much more. Access: It takes about 20 minutes to get there from Yamato-kamiichi Station by taxi. 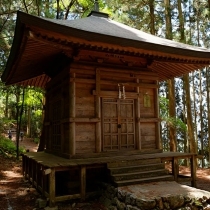 ■Otaue-matsuri is held at the Yoshino-Mikumari-jinja shrine on April 3rd. This ritual is to pray for a successful harvest. Access: It takes about 30 minutes to get there from Yoshino Station by taxi. 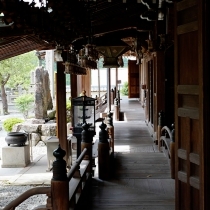 ■Hanakusempōe, usually called Hanakueshiki, is held at Zaōdō on April 11th and 12th. 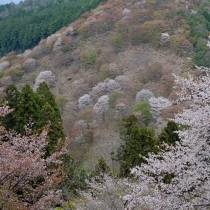 It is the festival to announce to Zaō-gongen that the cherry blossoms have bloomed. 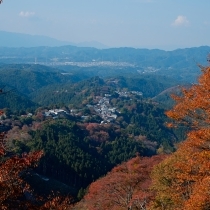 Monks, little boys and girls, and yamabushi (mountain priests) walk together from Chikurin-in to Zaōdō. 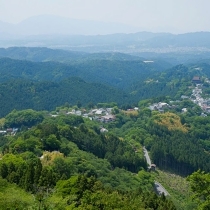 Access: A　10 minute walk from Yoshino-sanjo Station, a station of the oldest ropeway in Japan. ■The Hydrangea Festival is held at Nanamagari,　winding roed, near Mt. Yoshino from the middle of June to the beginning of July. There are about 4,000 plants along the road. In Japan, this period has a lot of rain, making it the best season to see hydrangeas. Access: It takes 5 minutes to get there on foot from Yoshino Station. 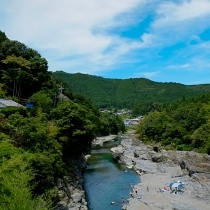 ■Renge-e and the Jumping Frog Festival are held at Zaōdō on July 7th. ■The Autumn Festival of Mt. 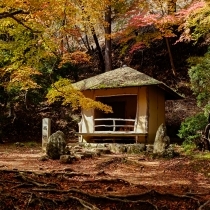 Yoshino is held on the third Sunday in October. 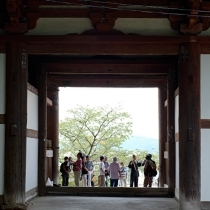 It is the festival to pray for a good harvest at the Tenmangu of Kinpusen-ji temple. There are three regions of Mt. 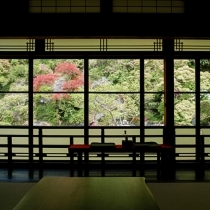 Yoshino: Shimo-senbon, Naka-senbon and Kami-senbon. 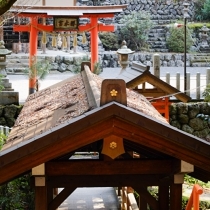 Each region has its own portable shrine, and these shrines weigh about 1 ton with futons on them. People living on Mt. 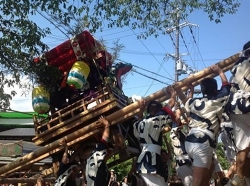 Yoshino carry them on their shoulders during the festival. You can see the dynamic and vivid festival all over Mt. Yoshino. 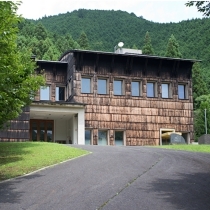 Access: It takes 15 minutes to get there on foot from Yoshino Station. ■Hiwatari-no-gyō is a ritual where Shugendō priests walk over burning coals and through flames. 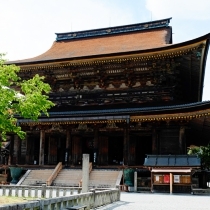 This event is held on November 23rd at the temple Dainichi-ji. 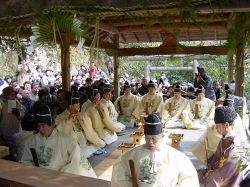 ■Kuzu-sō is a local, traditional Shinto ritual dance, and is held at the Kiyomigahara shrine in Kuzu. It is traditionally held on the 14th of the 1st month of the lunar calendar, so the date varies from year to year, though usually occurring sometime between January and March. 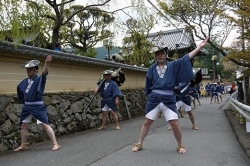 ■Setsubun-e is the festival celebrating the traditional end of winter. 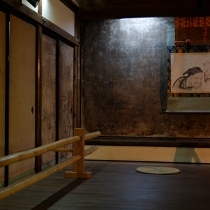 It is held at Zaōdō on February 3rd. One of the main activities is the throwing of roasted soybeans to ward off evil spirits. 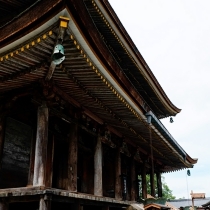 At most temples, people say, “Oni wa soto, fuku wa uchi” or “Demons out, fortune in” while throwing the soybeans. 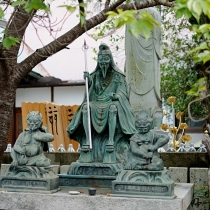 However, at Zaōdō, people say, “Fuku wa uchi, oni mo uchi” or “Fortune in, and demons in, too.” This is said because the demons, which have been expelled from temples all over Japan　on that day, are welcomed by Zaō-gongen. This means the spirit of co-existence between human beings and demons. Everyone is welcome at Mt. Yoshino. This area is also said to be a healing spot for the sick.